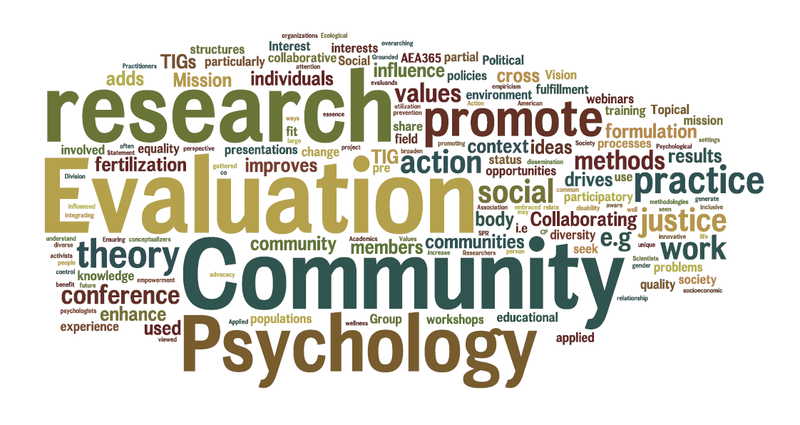 Last week the Community Psychology Topical Interest Group hosted the American Evaluation Association's Blog and their members wrote about Empowerment Evaluation. If you didn't get a chance to take a look at it, here's a list of their posts. Be sure to check them out! Jeff Sheldon on Using SEEPPO to determine empowerment evaluation model fidelity, adherence to empowerment evaluation principles, and the likelihood of psychological well – being outcomes.